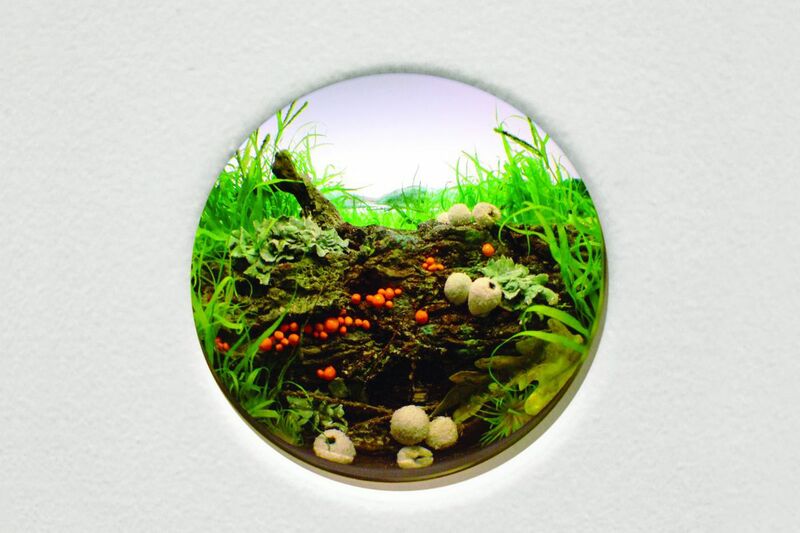 Patrick Jacobs' White Puffballs with Orange Slime Mold and Lichen, a mixed media diorama viewed through 2 3/4” window, at the Brandywine River Museum's Natural Wonders exhibition. The West Collection, Oaks, PA. The West Collection, Oaks, PA. The sun shines and the outdoors calls. But don't forget there are some great museum shows for those days when the call of the wild and the beach blanket fail to excite. Didier William’s Marassa Jumeaux (wood carving, ink, and collage on panel), part of Swarm at the Pennsylvania Academy of the Fine Arts. Michener Art Museum. Gift of Marguerite and Gerry Lenfest. Charles Evans, “Lady in Spots,” a 1937 oil in the Michener’s American Moderns exhibition. James A. Michener Art Museum. Ivy Weingram, curator of the National Museum of American Jewish History’s Leonard Bernstein exhibition, next to Bernstein’s conductor’s suit, made for him by Otto Perl.